I am absolutely mad for mittens. As a word, “mittens” is fun to say. As a project, mittens work up quickly and are so practical in Colorado that I have several pairs. When we recently met to discuss the knitscene’s fall issue, I saw the Eleanor Mittens and pounced. “MINE!” I shouted. “Mine, mind, mine.” Maybe people were too busy grabbing cookies to notice, or maybe they are used to me, but no one made a fuss. The Eleanor Mittens are mittens made right. Knit with a heavier-weight woolen-spun yarn, they trap warmth, which is sort of the whole point of mittens. The yarn itself is rather unique: it’s made from the fleece of Clun Forest sheep, which are primarily a meat breed but have a super-crimpy fine fleece that is almost magically springy, so these mittens feel bouncy and happy on your hands. 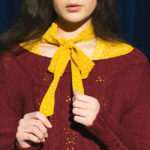 If you knit these, I heartily recommend tracking down this yarn—it’s worth the effort! The knitting itself is fast. I’m a notoriously slow knitter, but these will be on my hands in less than a week of now-and-then knitting. And speaking of knitting . . . while the pattern is simple and straightforward, the cuff is unusual. Ribbed on one side for a stretchy fit, it features seed stitch on the other side for a “not your usual mitten” look. The extra cuff length means you won’t have any chilly gaps between mitten and sleeve. 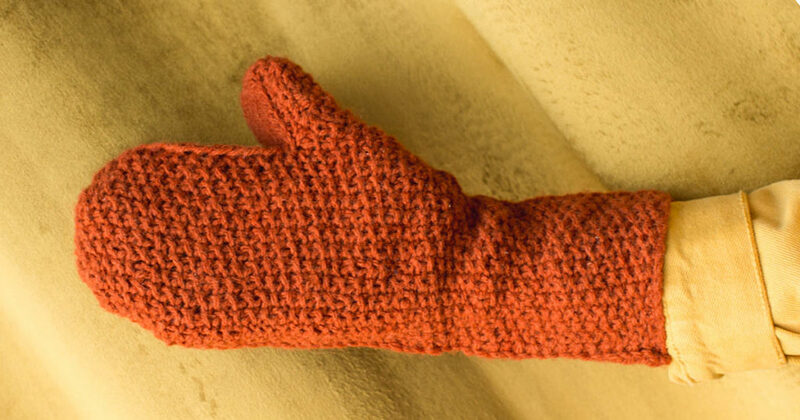 Start knitting your Eleanor Mittens now and you’ll be set for cooler weather. And if you balk at mittens for fall, these easily convert to fingerless mitts for an even quicker knit! FINISHED SIZE 8¾” hand circumference and 13¾” long. YARN Solitude Wool Clun Forest (100% Clun Forest wool; 185 yd [169 m]/3¾ oz [107 g]): carrot, 1 skein. GAUGE 18 sts and 28 rnds = 4″ in St st; 14 sts and 26 rnds = 4″ in seed st.
Are the Eleanor Mittens speaking to you? Wait ’til you see the whole issue!